Beyond making the pilot look like a spooky insect (comic book nerd moment: the Morpheus helmet from Neil Gaiman's Sandman comes to mind), the F-35 HDMS is loaded with all kinds of amazing goodies, like extreme off-axis targeting and head tracking "providing the pilot with unprecedented situational awareness and tactical capability." 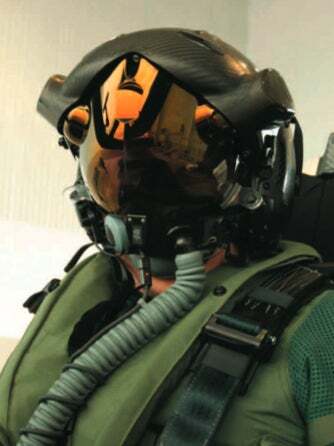 The helmet was developed by Vision Systems International, a company that has other quite weird designs that are already operational, like the DASH and the JHMCS. Technical specs and another image of the F-35 HMDS after the jump. - Custom helmet shell, liner and suspension system for lightest weight, optimal C.G. and maximum pilot - comfort. Unfortunately, no price yet for those who have in mind buying an F-35.